Audible records stand-up in nightclubs and festivals year-round, and hand-picks standout moments, exclusively for Members’ ears. We blend those fresh bits with selections from specials and comedy albums to deliver often hilarious mixes, released weekly. 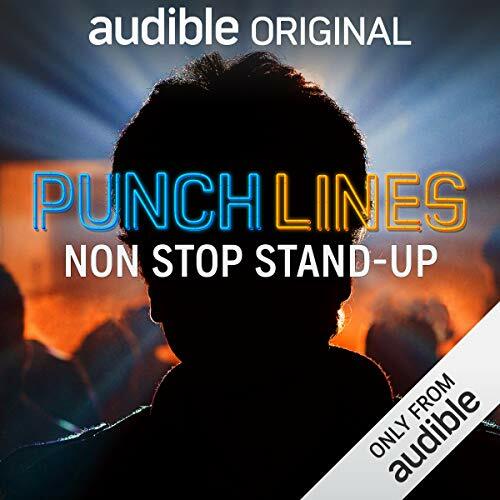 This is Punchlines – a stand-up experience unlike any other. When you add Punchlines to your library, you unlock multitudes of exclusive stand-up comedy, and you’ll continue to receive new episodes as they are released. Stand-up on Audible - Genius! This is my go-to (and free!) listen after I've made it through monthly listen I love the mix - especially how it blends big names with people I've never heard of. Thanks Audible! I thought this was a pretty funny listen. Will keep listenining to the rest of the series.